Crackerjack is a relaxing space that serves bona fide tea and coffee, fresh cocktails and feel-good food. 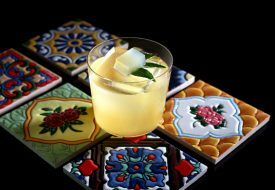 When stalwarts of the cocktail world, namely 28 HongKong Street and Proof & Company Spirits collaborate on an F&B concept, one sits up and takes notice. 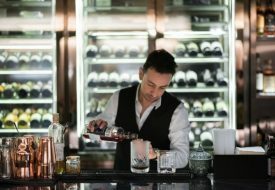 The former is better known as the speakeasy joint, which was crowned Asia’s top bar according to the inaugural Asia’s 50 Best Bars Awards, while the latter curates highly sought-after independent alcohol brands. Crackerjack, an all-day drinking and dining concept, is their brainchild. The idea is simple — to create a relaxing space that serves bona fide tea and coffee, fresh cocktails and feel-good food. 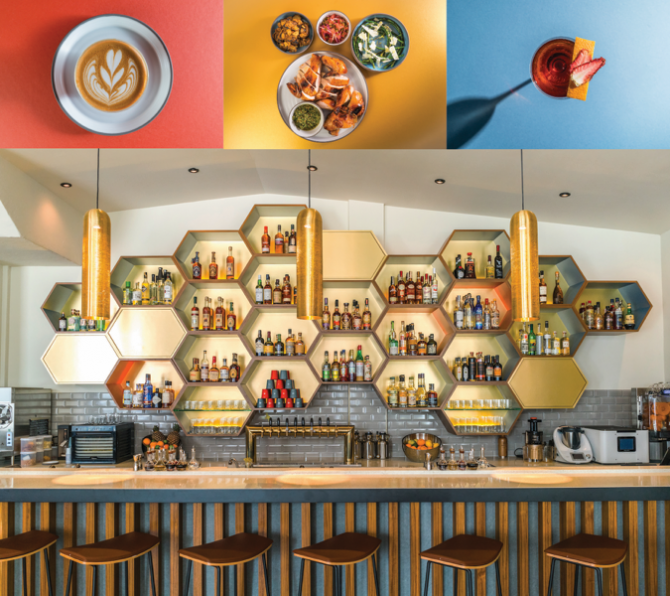 Diners can expect to luxuriate in a welcoming environment with large communal tables, free wi-fi and charging stations, hip music, art by Mojoko, as well as fun additions such as a shuffleboard table. Their aim to become your ‘third home’ and favourite hangout, is cemented by an all-day drinking and dining menu. You’ll find Crackerjack’s “Trays” (from $18), which are well-balanced lunch sets inspired by school lunches. Horchata Pancakes with Bacon Trying out Crackerjack's breakfast menu that is launched just yesterday (available only from 8am to 11am on Mon to Sat) and pretty impressed with their Horchata Pancakes. Brilliant combination of elements here that makes it stand out from the usual Pancakes with almond praline in the batter, a cinnamon-infused whipped cream and agave nectar served alongside. Fried bacon is optional at an additional $4. Very unique with its own character and unique identity that sets it apart from the usual — definitely something to check out! Pick from the likes of Mojo Brandt Bavette Steak Salad, Three Cheese Barley Risotto and a la carte dishes such as a Kale Salad with sweet potato, parmesan, spiced pumpkin seeds and bourbon vinaigrette. From the dinner menu comes heartier items like Bourbon Glazed Pork Collar Chop, which features a coleslaw of jicama, red cabbage, grapefruit and candied pumpkin seeds with bourbon mash-bill grits; as well as Local Barramundi sourced from a local kelong in Pulau Ubin. For sweet endings, there’s an indulgent Peanut Butter Chocolate Tart. Needless to say, the drinks menu is taken seriously. Crackerjack’s selection includes highballs, combining natural, housemade syrups, with soda and craft spirits. A must-try is the Pierre Ferrand Cognac with Kyoho grape and jasmine. 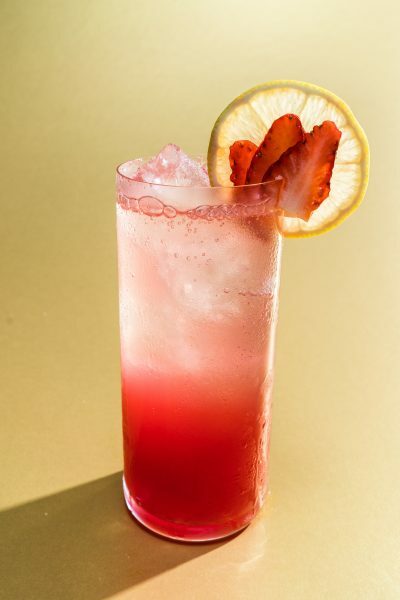 Ladies will love the Fro-Zay, an upgraded rendering of frozen rose wine from Provence. 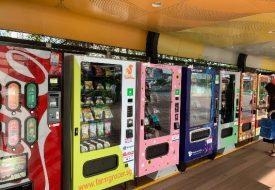 Serious drinkers will be spoilt for choice by craft beers on tap, a library of artisanal spirits and more. For coffee lovers, a rotating selection of local and international Third Wave Roasters will provide single origin beans for pour-overs and cold brew. Noteworthy is their collaboration with 2Degrees North, an independent local roaster and leader in the “Third Wave” coffee movement, to develop a custom espresso blend.